One of the most popular questions that we have been asked since returning from Florida is to share more details on the merit badge bundles at Camp Barstow. Essentially when your Scouts come to Barstow in 2019 they have two simple decisions to make. What am I going to do the first 1/2 of the week? What am I going to do the 2nd 1/2 of the week? Here is the back story. I met the Program Director Chris McDuffie when we were teenagers working at summer camp and both eventually becoming lodge chiefs in the Order of the Arrow. After twenty-five years of going to college, launching careers in education and starting families we reconnected. When I asked Chris to come serve as the Program Director at Barstow his response was “so your putting the band back together”?. Having been out of the camp game for a long time one thing we saw during the summer of 2018 was that the model of a merit badge matrix was very inefficient. Scouts would zigzag across camp hurrying to classes. Some classes got very full and some had just a few Scouts show up. With 30+ years in the classroom and multiple masters degrees between us the late summer brainstorming led to a new model that we are calling merit badge bundles. Essentially in these program bundles we merged together complimentary merit badges and came up with capstone events that will make memories. Here are some of the reasons we think this makes sense. The most common answer that we got from Scoutmasters when we pitched this was “this makes sense”. Our theme this year is “Choose Your Own Adventure On Lake Murray” and our merit badge bundles literally allow your Scout to do that. If you wanted to spend the first half of the week working on Emergency Preparedness and Search and Rescue merit badges sign up for Barstow Emergency Corps. Then you if you want to get wet perhaps sign up for Barstow Voyager or Barstow Skipper the second session. Scouts can choose the adventures that will help them with advancement and give them a fun and memorable week. Let me preemptively answer a question that has been asked. What if a Scout already has one of the merit badges in the bundle? Can they pick something else as a replacement to substitute in? 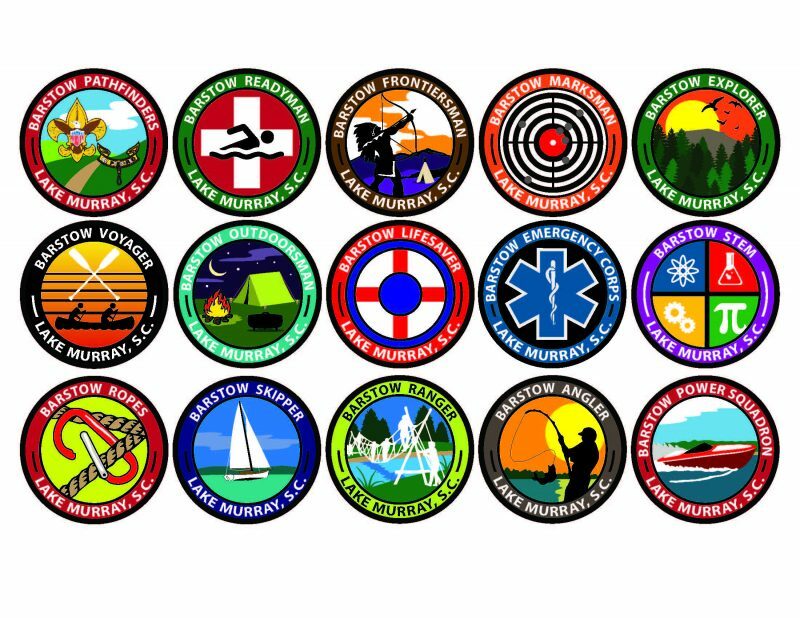 What we believe is that these programs are about more than just the individual merit badges. For example in our Barstow Explorer program we are going to have a dedicated pontoon boat so that we can teach our Ecology badges from a deck and not a picnic table. Our Scouts will get to travel to unique aquatic habitats and land on uninhabited islands in the river. Would you miss out on that because you already have Mammal Study merit badge? So no you can’t substitute but since you have 15 bundles to choose from and only 2 picks to make we feel like every Scout can make a good decision. To assist you we have created a simple 2-page handout that explains this model visually and shares all the merit badge combinations. There are over forty merit badges blended into these bundles. 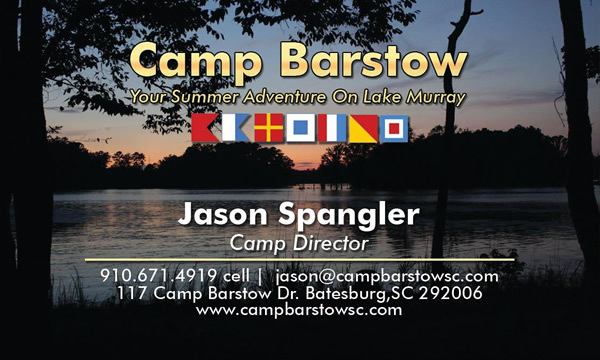 Please reach out to me if you have any questions about Camp Barstow. We run 4 weeks of camp and registration is open now. It only takes a $100 deposit to hold your campsite. 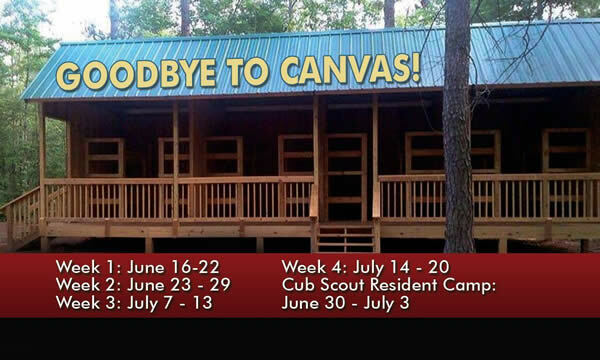 I hope you will choose Camp Barstow for your 2019 summer adventure!